Gary Alterman is an Executive Vice President with RKF, specializing in both landlord and tenant representation. 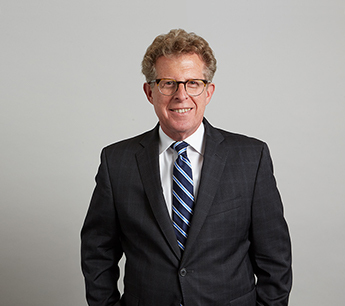 With more than 35 years of experience, he has completed numerous transactions on behalf of owners and retailers throughout New York City and its suburbs. Among the many retailers Gary has represented are Ann Taylor LOFT, Men’s Wearhouse, Dean & Deluca, West Elm, Gap, Pottery Barn, American Eagle Outfitters and Fairway Market. He engineered the roll-out strategy on behalf of Ann Taylor Loft, where he secured eight retail locations for the brand. He also negotiated leases for apparel and accessories retailer Men’s Wearhouse for its six Manhattan stores, including its flagship retail location on Madison Avenue. He continues to work with Men’s Wearhouse and recently arranged its relocation to 9,000 SF at 650 Sixth Avenue and negotiated the 7,900-SF lease at 730 Third Avenue and 8,700 SF at 1219 Third Avenue. On behalf of American Eagle Outfitters, Gary secured locations in Union Square in Manhattan, Scarsdale in Westchester County and Merrick in Nassau County. Gary recently arranged a 40,000-SF lease at 542 Second Avenue in the Kips Bay neighborhood of Manhattan on behalf of Fairway Market and 11,000 SF at 650 Sixth Avenue to Blick Art Materials. Gary also works with many local entrepreneurial tenants and has completed seven transactions on behalf of New York Kids Club. Gary has worked on behalf of many prominent property owners in the New York Metropolitan area, including Ogden CAP Properties, Brookfield Properties, The Brodsky Organization, Jack Resnick & Sons, Blackstone Real Estate Advisors, Kibel Companies, Manocherian Brothers, Atlas Capital Group, Milstein Properties, SL Green, Roosevelt Hotel, as well as the Metropolitan Transportation Authority, for whom he successfully leased 15,000 SF to five national tenants at 2 Broadway. Recent landlord representation work includes the leasing of 20,000 SF at 675 Sixth Avenue to a specialty market, the leasing of 45,000 SF at 240 East 86th Street to Fairway Market, the leasing of 40,000 SF at 1551 Third Avenue to Whole Foods Market, the leasing of 16,000 SF at 641 Sixth Avenue to Staples, the leasing of 40,000 SF at 635 Sixth Avenue to Lowe’s Home Center and the leasing and remerchandising of 604 Second Avenue to Chipotle Mexican Grill, Orange Leaf Frozen Yogurt and The Coffee Bean & Tea Leaf. Prior to joining the firm in 2007, Gary co-founded New Spectrum Realty in 1987, which was acquired by Newmark Knight Frank in 2000. Previously, he was a retail leasing agent with Garrick-Aug Associates. Gary graduated from Brooklyn College where he earned a Bachelor of Science in Accounting. He is a licensed Associate Broker in the state of New York and a member of the International Council of Shopping Centers.